With the valuable support of our enthusiastic and dedicated crew, we are providing to the industry wide collection of CFL Plastic Housing - PBT 20%. In accordance with the standards laid down by the international market, the whole assortment is fabricated and cutting edge using optimum quality inputs and cutting edge machinery. We are offering CFL Housing. We offer CFL Housing. These products are developed using the advanced technology and quality raw material that is bought from reliable sellers of market. Our offered products are identified in the market for their well-built structure, and reliable performance. We make these products in accordance with worldwide standards. Empowered by a crew of qualified professionals, we are able to provide an impeccable gamut of CFL Housing Cover. We deliver these products within the specific time frame. Housing & Housing Cover (44 ID 24): Owing to our streamlined facilities, we manufacture housing and housing covers which are superior in quality and performance. We use PBT Glass field 30% FR (Fire Rectifier). It is milky wight in color. 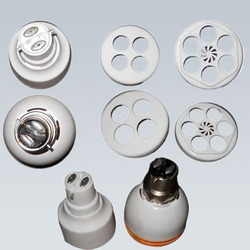 These parts are used in assembling of CFL. We are prominent suplier of CFL Housings (cabinets) of all watt of CFL, made from fire resistant PBT & PP. We have in-house printing facility to print your logo and brand name on CFL Housing. It is free service. As per the requirements of the client, we are involved in presenting the finest quality of CFL Housing Cover. 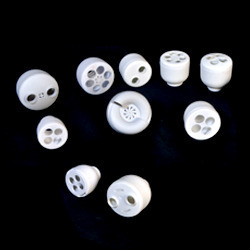 We manufacture various CFL plastic caps as per client design. Material - PBT 20% Glass Filled Non-FR/FR. All our CFL parts are manufactured to meet the BIS standards. We are engaged in manufacturing and supplying of housing covers for Viper Motors. Made of PVC, these housing covers are manufactured as per the set national and international standards. we specialize in trading CFL B22 Cap With Wire. These are mainly used to make cfl bulbs and other accessories. Our company ensures that only super grade material is employed, which is procured by us from reliable vendors. These are also available in customized dimensions according to.the technical specifications detailed to us by the clients. Plastic Housing (Ginni) of 39mm is designed for compact floresent lamp 8W. This will fit with topcover 39mm. We offer our customers with superior quality range of CFL housings. These are made of PBT/PP grades as required by customers. These are available at very attractive price.